Positive: Compact size; powerful processor; nice design; good price. Positive: Compact size; attractive design; powerful processor; good price. Positive: Compact size; powerful hardware; attractive design; good price. Model: Great news for professional users who prefer to work with an ultra-portable laptop! 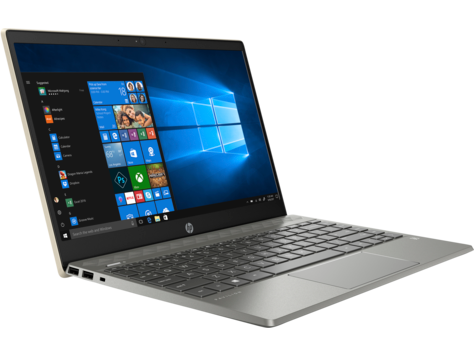 HP has come up with a new laptop for their HP Pavilion 13 series, the HP Pavilion 13-an0000ns. As implied by its name, this new laptop has a 13.3-inch display, a measurement that users who prefer portability will enjoy. The HP Pavilion 13-an0000ns comes equipped with an Intel Core processor, the i5-8265U. This model of CPU comes with four cores, and with the hyper threading technology, it can handle eight logical threads. It also has 6 MB of cache memory, and with Intel's Turbo Boost technology, it can clock at a frequency of 1.6 GHz to 3.9 GHz. With this CPU at the core of the laptop, users will be able to do mid-level of processing tasks including casual video and image editing. Heavy editing may throttle the CPU and cause a drop in performance. As it is not a gaming laptop, the HP Pavilion 13-an0000ns only comes with an integrated Intel UHD Graphics 620 graphics card. Casuals gamers may be able to run low-intensive games like indie games or older AAA titles that don’t need a lot of processing power to run. The laptop also comes with an IPS panel with a Full HD resolution. The display has an excellent color reproduction and pretty wide viewing angles. It is great to note that even HP decided to do away with the traditional and slower hard disk drive and instead opted to put in a 256 GB SSD storage drive. There is also the option to expand the storage drive by adding a large SD memory card. To help the system to run more smoothly, HP also added an 8 GB RAM of memory. Those who wish to upgrade to a bigger RAM capacity will be disappointed that there is no room for upgrade. 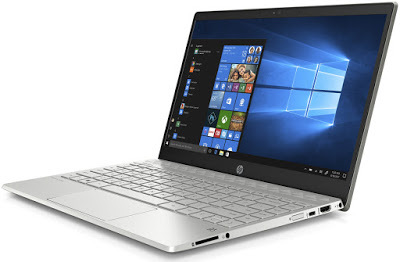 As for connectivity and ports made available, the HP Pavilion 13-an0000ns comes with one USB Type-C port, two USB 3.1 ports, one HDMI output, one headphone/mic combo jack, one SD card media reader, and a dual-band WiFi plus Bluetooth 4.2 combo chip. There is also a 720p webcam that is probably only good for basic video conferencing. Even though this is not a gaming laptop, it comes with a backlit keyboard, for those who prefer to work in dim/dark rooms. Measuring at 15.4 x 311 x 211 mm and weighing at about 1.3 kg, this lightweight and compact 13.3-incher may just prove to be a hit with those whose priority is ultra-portability. 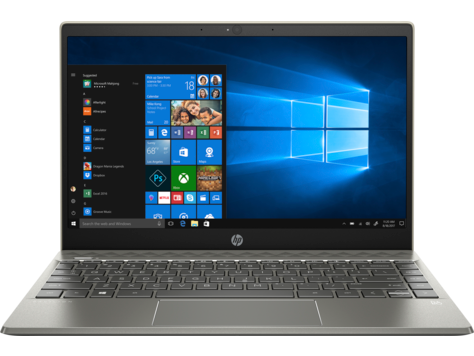 Even though this is not the lightest 13.3-inch laptop in the market, the hardware specifications make it a little impossible to ignore when one is shopping for a new laptop.